Everyone wants to rank in the Google My Business/Maps area of the search results. Read below to find out how. Are you looking to improve the ranking on your Google My Business page? The chances are good that you have searched for how to rank your My Business page. In the process, you might have landed on one of our blog posts discussing the above guidelines. The more you read, the less you want to do this on your own. You are after all a business owner and your time is better spent on the running of your daily operations. That’s where we come in. 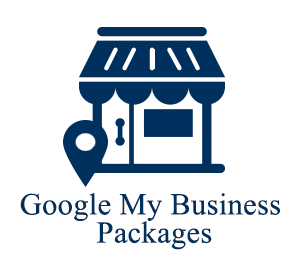 Our Google My Business services take the task off your hands. See our packages below. If you have any questions regarding our packages, please fill out the form at the bottom of the page. If you’re serious about improving your My Business rankings, this package is made for you. We’ll add citations, optimize your page, find inconsistent citations and set in place a strategy to get more reviews. After paying through PayPal you will be directed back to our website where you can fill out your business’s details. Question – Which 50 directories are my business listings going to be added to? Over the years we have used Bright Local software to gather a list of over 200 business directories. Bright Local are leaders in local SEO software and have ranked each of these directories according to their trust with Google and other search engines. We will find out where your business is currently listed and list your business on the top 50 directories you are not listed on. Question – Do you add all 50 business listings at once? No. We create two sets of 25 listings a month apart. Question – Will all listings be live right away? The majority will be live after 2 months. Some directories take a week to approve the listing, and others require phone verification. Question – Will you send me all my listings? Yes, we send out a spreadsheet with links to all of your listings along with login details for each listing. Question – What does business listing clean up mean? Google has stated in their GMB support area that all businesses need to establish an accurate presence across the web on third party websites. Here is a screenshot direct from their GMB support area which talks about establishing a strong and accurate presence on the web. If you have changed business names, phone numbers or addresses, we’ll find all those listings. From there we will request to update each of those listings up to four times. If after the fourth try we are unsuccessful, we will not pursue any further as the directory owner is deemed unresponsive. Question – What are the two review strategies? At this time we cannot give this information out as it’s top secret! Reviews are important not only for the rankings of your GMB page, but also for generating more leads and clicks to your website. Question – What are the website recommendations you will make? Often times we work with clients whose websites need changes to be made to improve their GMB pages rankings. We will look at how well optimized the home or landing page is, which is linked from your GMB page. We’ll also look to make sure your business name, address and phone number are listed clearly on your website. Question – What if I don’t have a GMB page already? If you don’t have a GMB page listing already setup, we can take care of that for you. We’ll create your page and add all the necessary business details. Question – What if my GMB page is claimed by someone else? We can walk you through the steps to claim the page and make any changes needed. Question – I want my GMB page to rank in the top 3 in cities I am not physically located in. Is that possible? Since Google wants to provide users with closely located businesses, the answer is no. In some cases we have seen businesses rank high in cities they are not physically located in, but we have not seen these businesses rank in the top there. Read this post on proximity for more clarification. You can also use this surrounding city SEO strategy to rank an organic page for a city your business is not physically located in. Question – What country does my business have to be located in to sign up? As of this moment we are only working with businesses located in Canada and North America. Question – How long will it take to improve my rankings? This is a difficult question to answer for a few reasons. At the top of this page we have stated a few factors that Google looks at when ranking the GMB results. Depending on those factors, the city you are located in and how many competitors you have, it can take anywhere from 3-8 months. Question – Will my GMB page rank in the top 3? We do not guarantee top 3 results, but you will see an increase in rankings and visibility. Question – Do you offer discounts if I have more than one location? We do offer multi location discounts. Please use the contact form below our testimonials for more information on our discounts. Please use the contact form below our testimonials with any additional questions. I wanted to thank you and your staff for helping me…..the changes are working better than I hoped for. Your company helped me tremendously in conquering one of the toughest SEO markets there is. I’m so happy with how thorough Meaningful Marketing has been in determining where I could improve my Google Places ranking. The tips and advice have been awesome and I know it will make a huge improvement for my business. I do believe that if you are on the first page of Google Places it will have a significant impact and I trust Meaningful Marketing completely to help me improve. They also wrote up a great “about” section for me as part of the service.